Ultra-Fast response, vibration resistant Amber LED light. Compatible with all external shift light tachometers and DPSS Controllers. Auto Meter Shift Lights are perfect for professional racers who desire enhanced shift light visibility. 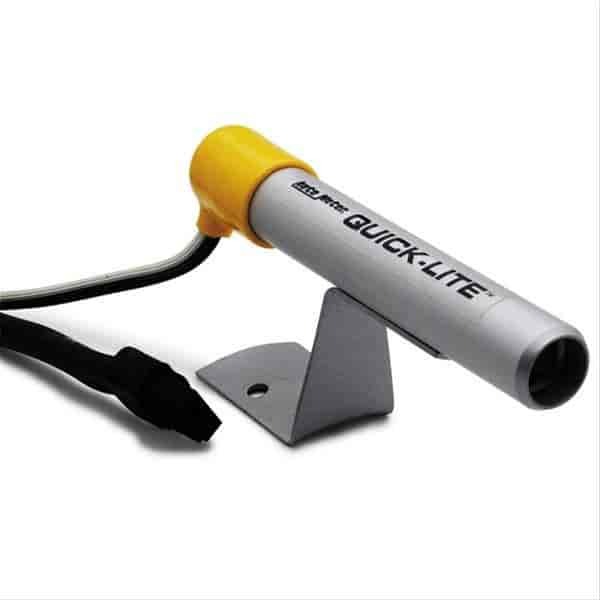 These bright, quick response lights assist in perfectly timed shifts and are an exciting accessory for most tachometers. They are very versitile and can be mounted in various positions to suit the driver. Available with incandescent or LED bulbs. Auto Meter Warning Lights are perfect to combine with temperature and pressure switches to warn the driver of critical conditions. These warning lights provide a bright visual without having to continuously look at your gauge.